It reminds me of the time an ice cream horse and cart was selling To customers including me, when the horse shied and took off at some speed. We all run after it to see what happened. 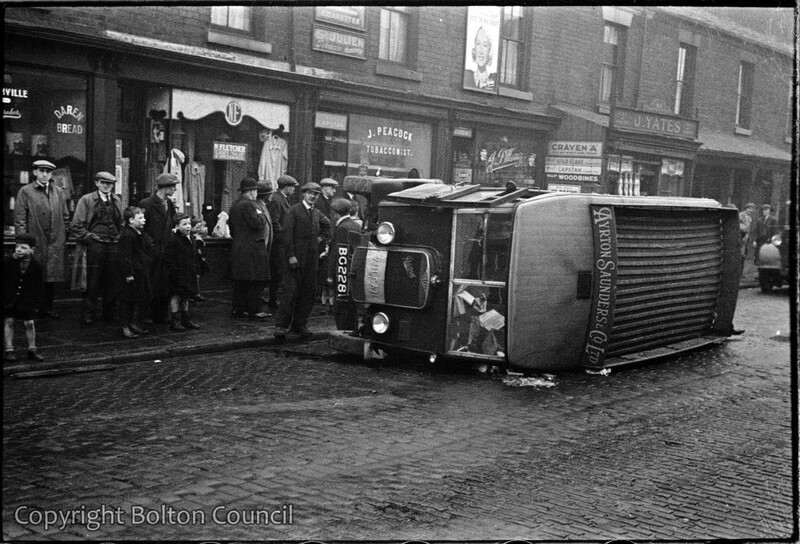 It had run as far as Vernon St, and took a sharp left.Because of the speed it was travelling it turned on to its side just about same place as the van. I dont think anyone was badly injured. Just another day in Davenport st.
Was it Sabini’s, from Churchgate?